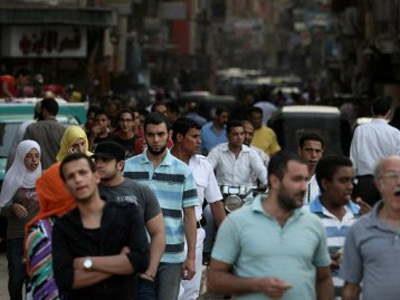 Egyptians are to choose between an Islamist and a former Mubarak loyalist in the runoff of the presidential election. Human rights activist Dalia Ziada told RT that the result of the first round is a disappointment to those who backed the revolution. ­The Muslim Brotherhood claims that its candidate, Mohammed Morsi, has the lead in the polls, and is to face Ahmed Shafiq, the country’s former prime minister and minister of civil aviation under President Mubarak, in the runoff, scheduled for June. Dalia Ziada, a human rights activist and blogger, believes that people expected Egyptians to vote for these candidates, and that there is a general sense of disappointment throughout the country. 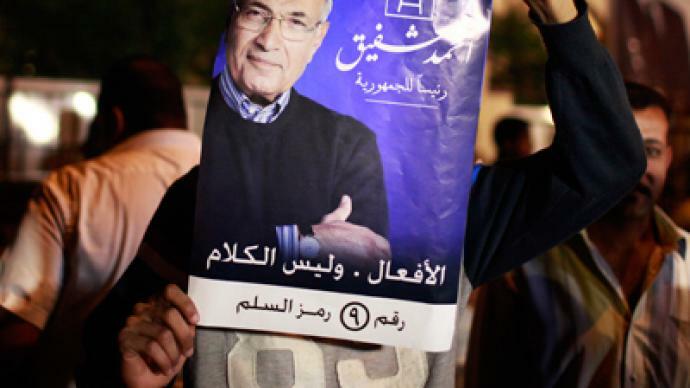 Ziada expects Shafiq to outperform his Islamist rival in the second round despite his pedigree. “Ahmad Shafiq was involved in beating people in Tahrir Square during the revolution, and he was the prime minister that Mubarak used to beautify his image in his last days. The fact that people are choosing him is probably because they want to give him a new chance, or they selected him as a vote against Morsi, who represents the Muslim Brotherhood,” she noted. She pointed to the fact that many have become disappointed with the Muslim Brotherhood after it became the largest faction in parliament several months ago. 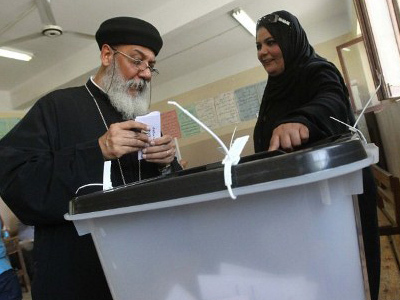 Ziada also took note of the low voter turnout and said there were three possible explanations for it. “Number one, it’s probably because of the very strong heat of the sun, especially during the day and in the south of the country,” she said. 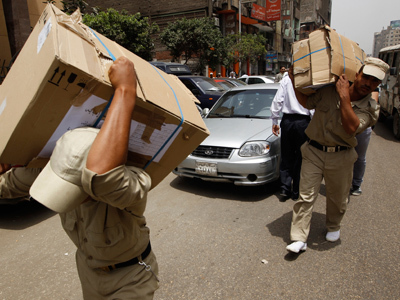 “Number two is the fact that the Supreme Committee of Elections forced people to vote in their original cities; Egyptians don’t live in their original cities. The address in their IDs is completely different from that at which they work or live. The third reason is that people are disappointed with the transitional period and what happened during this period. We thought things would change quickly, but unfortunately, this was not the case. So some people decided to boycott the presidential elections." Itzhak Levanon, the former Israeli ambassador to Egypt, believes the outcome of the second round will affect Egypt’s relationship with Israel.